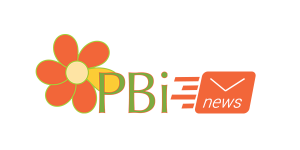 PBi Network of Specialists gets total overhaul! Placenta Benefits.info (PBi) is the leading resource for placenta encapsulation information and training. I created PBi specifically to promote the use of placenta for postpartum recovery. As a result, in the past four years placenta use has grown into a national trend and is much more popular and accepted. I am very proud of this accomplishment, and am continually inspired by my clients and every woman who has been helped by placenta capsules. I created the Placenta Encapsulation Specialist® Training & Certification Course for those people who wanted to provide placenta services to women in their community – safely, properly and legally. I built the PBi Network of Specialists to help those providers build a thriving business and create a community where we all share information and work together to help promote the movement toward making the use of placenta for postpartum recovery a normal part of the birth process. Over the years, I continued to modify how the Network operates. After listening to many of you, hearing your feedback, and talking with the current PBi Specialists, I found I needed to make some changes. You wanted changes – PBi listened! PBi offers fabulous Network benefits – you now have the freedom to choose which Network benefits you want, and only pay for those! Myself and the PBi Specialists are very excited about the improvements, and I’m sure you will be too. If you’ve ever considered going through the Training Course, there has never been a better time!